Pop! Vinyl collectable figures have exploded onto the scene in recent months, and their popularity shows no signs of slowing down. All your favourite characters can be found in adorable and ultra-collectable Pop! Vinyl form. Looking for DC, Marvel, or Disney characters? How about Teenage Mutant Ninja Turtles? We’ve got Despicable Me, The Hobbit, Supernatural, Game of Thrones, How to Train Your Dragon, Ghostbusters, Transformers, and many other options available in Pop! Vinyl. Gift-giving is a breeze with these diverse toys that everyone loves. Celebrate your favourite characters and expand your collection with a new Pop! Vinyl figure today! Lion King - Mufasa Pop! Every generation has had its collectable fad, and many adults today look back with fondness on the toys which were very popular during their childhood. From the original Cabbage Patch Kids craze to the Beanie Baby boom of the 1990s, kids love to get their hands on the latest in innovative toys. 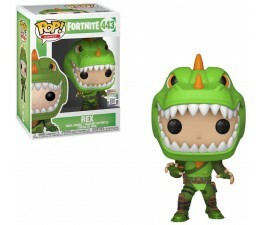 With the huge variety of media available today, the surging popularity of Pop Vinyl toys isn't surprising. Rather than being restricted to one kind of character, Pop Vinyl toys can take the form of anyone from the characters of Frozen to the cast of My Little Pony. You can find even more mature properties when you look to buy Pop Vinyl online, such as Game of Thrones or Batman. Whether your child loves to read or is an avid consumer of TV and movies, there's a Pop Vinyl set out there for them. 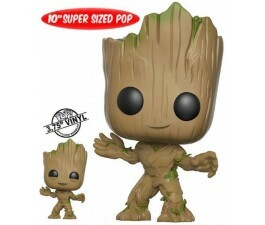 At Mr Toys, our goal is to make it easy for you to find the Pop Vinyl online you want to buy for your child. Not every toy store has every individual figure, and some can be difficult to find. We make it simple for you to browse our entire collection right here online, so it's easy to make a purchase, whether you're looking for Black Widow and the other Avengers or Batman himself. Introducing your child to Pop Vinyl isn't just a way to show them the world of collectable toys; it's a way to enable them to play and pretend with their favourite characters, too! The intriguing design and bright colours of every figure make them fun for all ages. Your teenager might love displaying their beloved cast members from the Fast & Furious films or Game of Thrones, while a younger child will have a blast playing make believe with a Superman figure. An important factor for collectable toys is the packaging, and Pop Vinyl's is perfect for display and storage. With its large plastic window, it's easy to keep the toy safe and looking great when not in use. You can even use this as a moment to teach your child a lesson about how to take good care of their toys. Of course, that's entirely optional — sometimes it's fun just to get down on the floor and have pretended battles between good and evil. If you have awesome memories of collecting your favourite toys as a child, why not pass that same joy on to your own kids? When you buy Pop Vinyl, you can do exactly that. Explore our full selection now! With everyone from Pixar heroes like Nemo and Dory to miniature wizards like Harry Potter and Hermione Granger, we're sure you'll be able to find the Pop Vinyl perfect for your child. Mr Toys strives to maintain a superior level of customer service, and you can contact us anytime. Just let us know what you need help with and we'll point you in the right direction.